The USS Glory is a Science Fiction fan club located in Morgantown, WV and amongst the many different fandom's we are a chapter of STARFLEET International, the world's largest Fan-run Trek organization. Welcome to our website, kick back, relax and enjoy yourself. Membership in USS Glory is FREE and we only ask that you become a member of SFI. Membership in SFI brings many benefits including SFI's bi-monthly newsletter The Communiqué and the STARFLEET Academy. Correspondence members are also very much welcome. If you are interested in joining our club and SFI, we have many open positions for you to choose from. So click here to join SFI today!!! See left, Contact the USS Glory to begin your journey with us. We are always making updates to this site so please check back frequently. The USS Glory Chapter Membership Handbook is now available. Click here for the handbook. Also our Chapter recruitment flyer is available. Click here for the flyer. We now have the STARFLEET International manuals for 2008. The Membership Handbook, the Vessel Registry, Marine Force Manual and the offline Membership Application are now available here for download. Also available are the Membership CD's for STARFLEET and the SFMC. News came to us this day of the passing of a dear friend in the Fleet. Lieutenant General Truman D. Temple pass on to be with our Lord on Monday September 29th. Truman served with me in many different positions in both Academies for the past 3 years and has grown to be not just a dear friend but a man that I deeply admired and trusted. The world has lost a great man, STARFLEET lost an outstanding volunteer and the Boy Scouts of America has lost a fine man who loved and supported them to his last days. 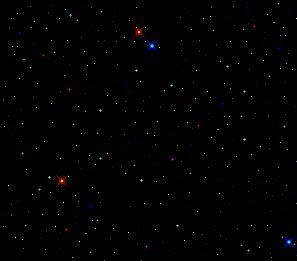 The USS Glory dims her lights and joins the rest of fleet in flying in the Missing Man Formation. More sad news came as were told of the passing of another dear friend, the former Chief Medical Officer and Commander (ret.) on board the USS Glory, Dr. Dale J. "Doc" Luketich, MD. Doc was a major fixture in both the Amiga PC group and in Sci-fi here in Morgantown, WV. Doc had the distinct opportunity to be the sound man at the sole visit of Gene Roddenberry here in Morgantown back in 1974. Doc's other interests varied greatly but one other great passion of his was the Old Time Sci-fi Radio Show that he produced on Yesterday USA and he loved his 1969 Pontiac GTO Convertable. Doc, you have journeyed to the Undiscovered Country, my prayer is to see you again there. We are currently working on plans for the upcoming events this Winter/Spring. 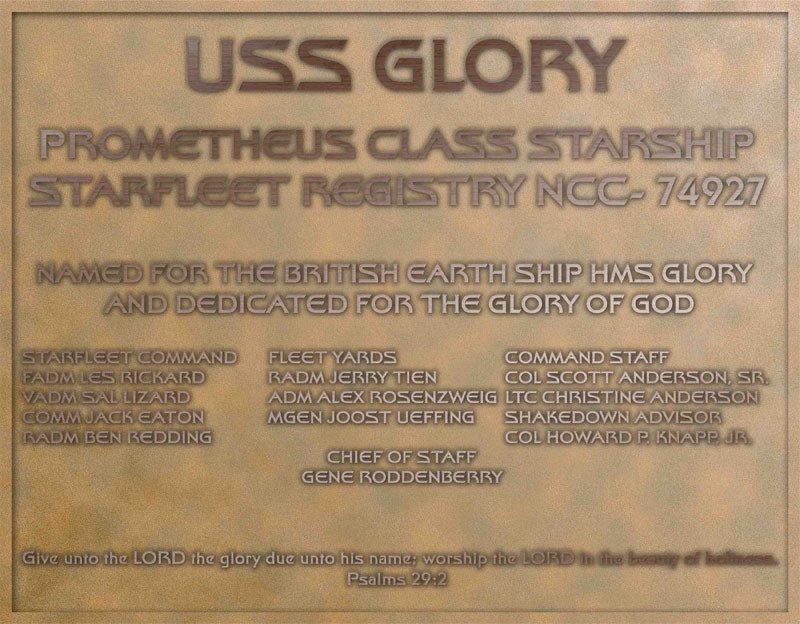 Interested in joining the USS Glory? Contact us today and let us know you're interested in being a part of organized fandom!